Since Android P has native support for screen notches, it's long been assumed that Google would adopt the latest trend in the mobile world with its next-gen Pixels. 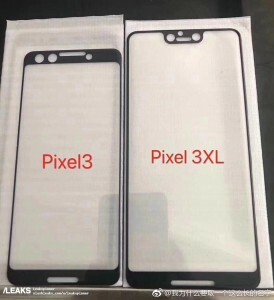 Today a leak purporting to show screen protectors for both the Pixel 3 and Pixel 3 XL confirms that, partially. If this is legit (and that's a big "if"), then only the bigger model will sport a notch, as you can see from the images below. 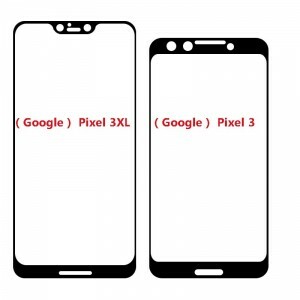 The smaller Pixel 3 will have a different design, basically emulating what happened last year with the Pixel 2 and 2 XL, which, from the front, looked nothing alike. Both third-generation Pixels are getting stereo front-facing speakers, and both have smaller bezels than their predecessors. That said, their bezels are still in no way comparable to the tiniest out there. Reminiscent of the vivo Apex these are certainly not. The new Pixels should become official this fall, running Android P and with the Snapdragon 845 SoC at the helm.